Tech-savvy millennials are duped by fraudsters and too stupid too survive studies show ..so why does Buzzfeed and Gizmodo let them write the news? ..so why does Buzzfeed and Gizmodo let them write the news? 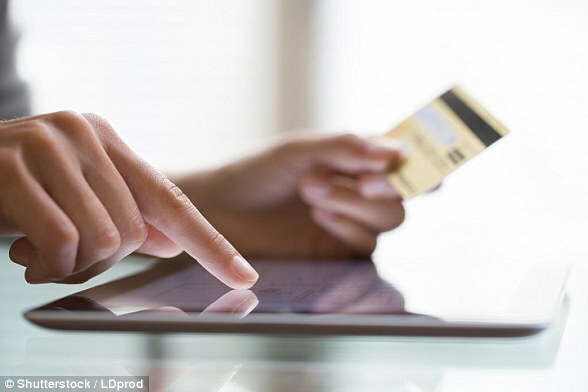 Elderly people tend to get all the flak for falling prey to dubious online scams. But it appears that the trend may have nothing to do with seniority, according to an annual report from the Federal Trade Commission. In 2017, millennials reported losing money to fraud more often than those over the age of 70, the study showed. Specifically, among people between 20 to 29 years old who reported fraud, about 40% said they lost money. By comparison, just 18% of respondents who were 70 years of age and older and reported fraud said they lost any money. 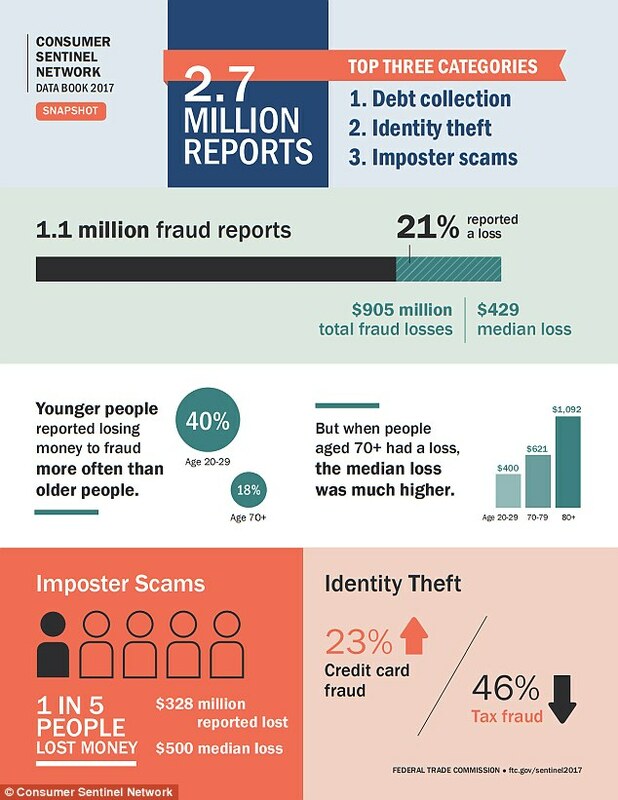 While millennials fell prey to scams more frequently than seniors, the elderly suffered steeper losses when they were duped by fraudsters. 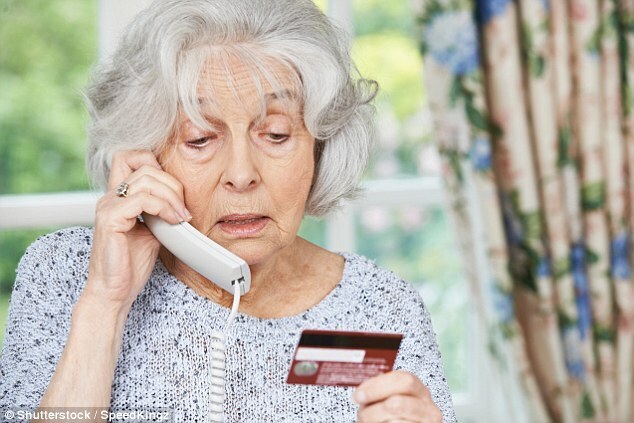 According to the FTC, the median reported loss for people who were 80 years old and above was $1,092 compared to $400 for people between the ages of 20 and 29 years old. The annual report analyzes consumer complaints made to the FTC in 2017. In total, about 2.68 million consumers filed a complaint with the FTC, which is an incremental decrease from the 2.98 million consumer complaints from 2016. That said, consumers lost more money from scams in 2017 than they did in 2016. Consumers reported losing a total of $905 to fraud in 2017 vs. $842 million the year before. This is the first year that the FTC has broken out fraud losses by age group. The results challenge the stereotype that seniors are more likely to be fall prey to financial scams. Millennials are often pegged as the tech savvy generation, but experts say that knowledge isn't always enough to arm them from financial scams -- an area that the elderly actually have more experience in. 'Older consumers are doing a really good job recognizing fraud when they encounter it,' Monica Vaca, associate director of the FTC's Division of Consumer Response and Operations, told MarketWatch. 'They're taking the next step to warn other people about it,' she added. WHAT WERE THE MOST COMMON ONLINE SCAMS IN 2017? The Federal Trade Commission's Consumer Sentinel Data Report examines data about financial complaints made by consumers each year. For the first time, the FTC broke down results by age group. They discovered that millennials were more likely to fall prey to fraud than respondents who were 70 years of age and older. In 2017, roughly 2.68 million consumers filed complaints with the FTC. 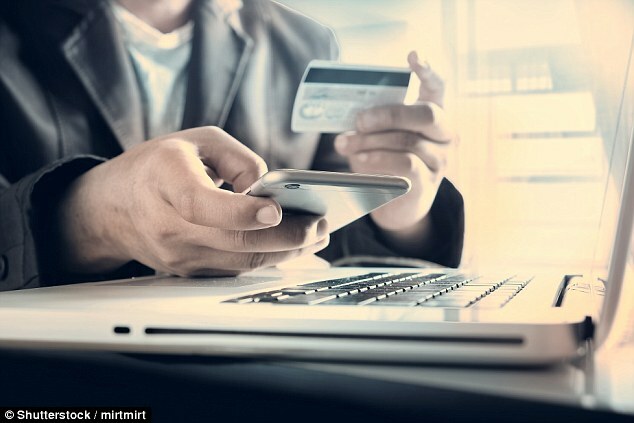 Younger generations are also, at times, guilty of having 'optimism bias,' wherein they assume that others are more likely to fall prey to fraud, so they make riskier choices online, MarketWatch noted. Millennials and younger generations are also more likely to share personal information online like email addresses or their mother's maiden name, research has shown. This also isn't the first time that millennials have been shown to be more gullible when it comes to financial scams. A 2016 study by market research firm Ipsos showed that pensioners were wiser to people trying to rip them off than millennials. Additionally, a study by the Better Business Bureau in 2017 revealed more millennials were falling prey to 'tech support' scams than the elderly. The tech support scam appears as a pop-up alert on a users' computer, warning them of a malware virus on their computer. The scammers then attempt to steal personal and financial information that can be used to commit identity theft later. Fraudsters also request payments that can be hundreds or thousands of dollars in order to remove a virus from someone's computer. The scam artist will request remote access to the user's computer, which gives them temporary control over the person's browser, operating system and files. Scammers will either install malware that can attack a computer or keylogging software that can track a person's keystrokes in order to glean their passwords and other account information.